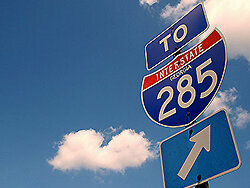 US Highway 41, known locally as Cobb Parkway, travels from Miami to Michigan, with a busy stretch in Cumberland, Cobb County’s central business district. The improvements for U.S. Highway 41 will include widening the road to three lanes in each direction, plus additional turn lanes and medians. This project will also provide landscape enhancements that will soften and beautify the active corridor. 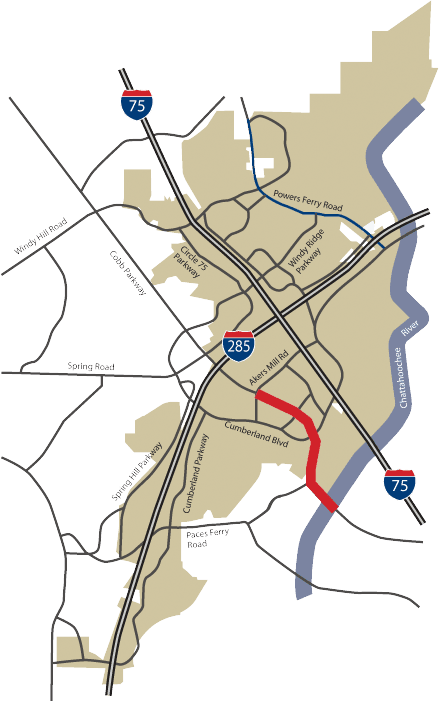 The project will result in multiple long-term benefits for the area including safer traffic flow, greater capacity, and improved connectivity between Cobb and Fulton counties. The project also includes a 12-foot-wide multi-use trail throughout the corridor, bridging the regional trail connections between communities west of Cobb County as well as the City of Atlanta. Built in 1935 with the original construction of Cobb Parkway, the US Highway 41 Bridge is part of the first four-lane divided highway in Georgia. The bridge and road widening project will complete the last section of the highway in Cobb County that has not been converted from the original four lanes of capacity to six. Currently approximately 36,000 vehicles cross the bridge per day, which is expected to increase to approximately 47,000 vehicles by 2032. 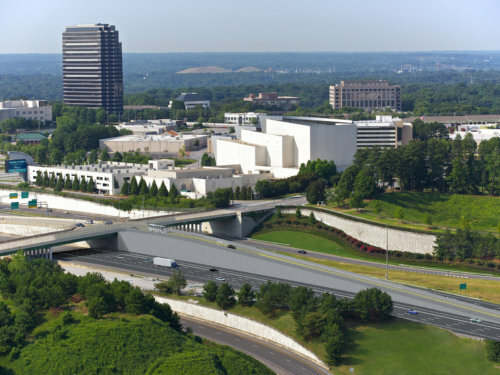 The six lanes of the bridge will be separated by a 4-foot raised median, with a 12-foot-wide multi-use trail added to the east side of Cobb Parkway and a 5-foot-wide sidewalk to the west. 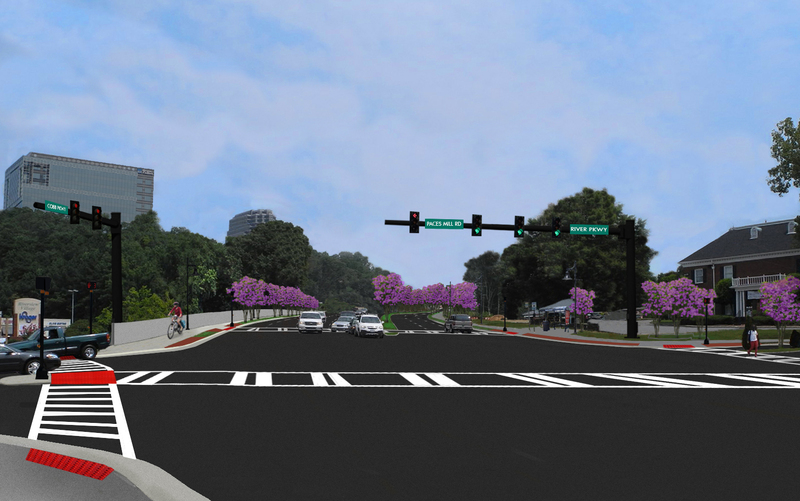 The enhanced pedestrian and bicycle facilities will include improved access to the Chattahoochee River National Recreation Area’s Palisades Trailhead at Paces Mill. 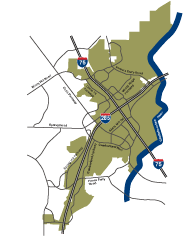 The one mile widening project will increase the capacity of US Highway 41 from four to six lanes from the new bridge at the Paces Mill Road intersection to the Akers Mill Road intersection at Cumberland Mall. 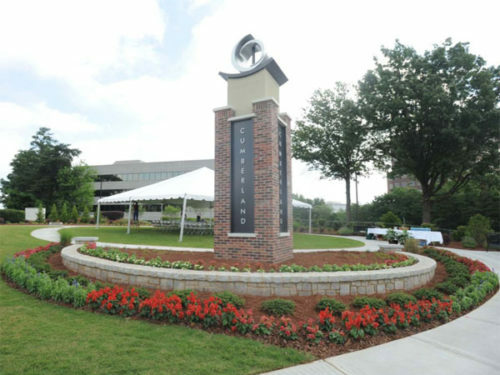 This project was the first to go under construction following the Atlanta Braves’ announcement of their move to Cobb County and will serve as a gateway route to the new stadium and mixed-use development. The widening project will include a 12-foot wide multi-use trail on the west side of the road connecting to the 25-mile trail network within the Cumberland area. It will also be enhanced through the construction of new medians that will provide safer travel throughout the corridor.